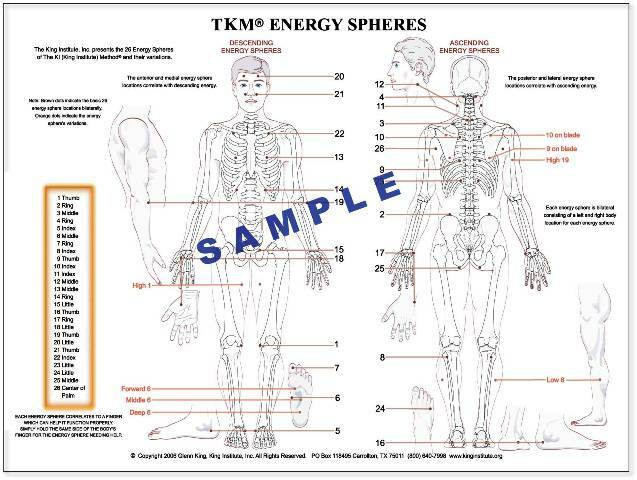 This thick 80lb cover stock poster contains an accurate and distinctively clear diagram illustrating the 26 Energy Sphere locations and their variations bilaterally. It will make a great display for your wall and offer easy access to see locations when working on yourself or someone else. It is also a good readily available study source for knowing the energy sphere locations accurately.